Coming from Aboyne: Turn left before the humpback bridge. Follow Burnside Road and turn left after you pass Mill Road. Coming from Aberdeen: Turn right through The Square. Turn left onto Mill Road. Turn right onto Burnside Road then left shortly afterwards. Coming from Logie Coldstone direction: After the 30 speed limit and Caravan Park take the next right. 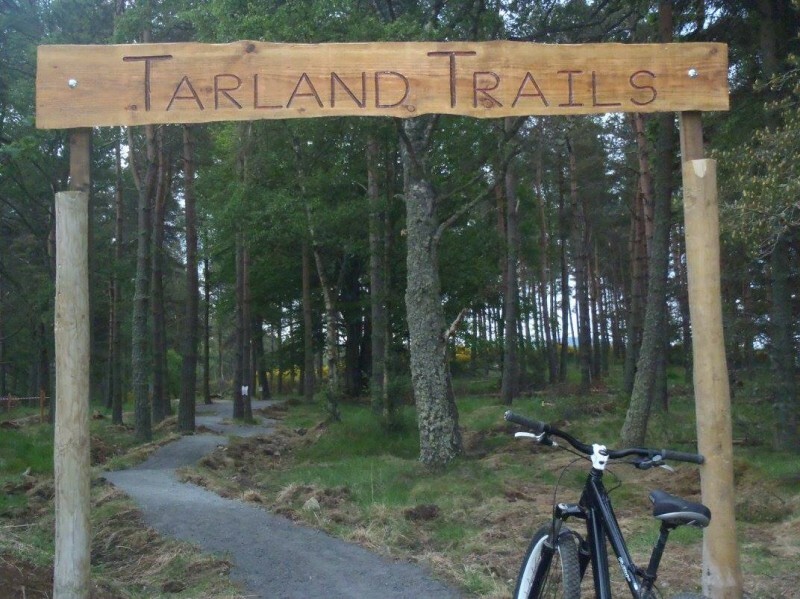 Tarland Trails is a mountain bike trail facility that opened to the public in June 2015. It is based in Drummy Woods in Tarland in Aberdeenshire. It consists of a family blue, technical red, big orange jump run and a large pump track. They have an ambitious phase #2 project in the planning that will enable them to expand this compact network to a much wider network of trails to around 30km. 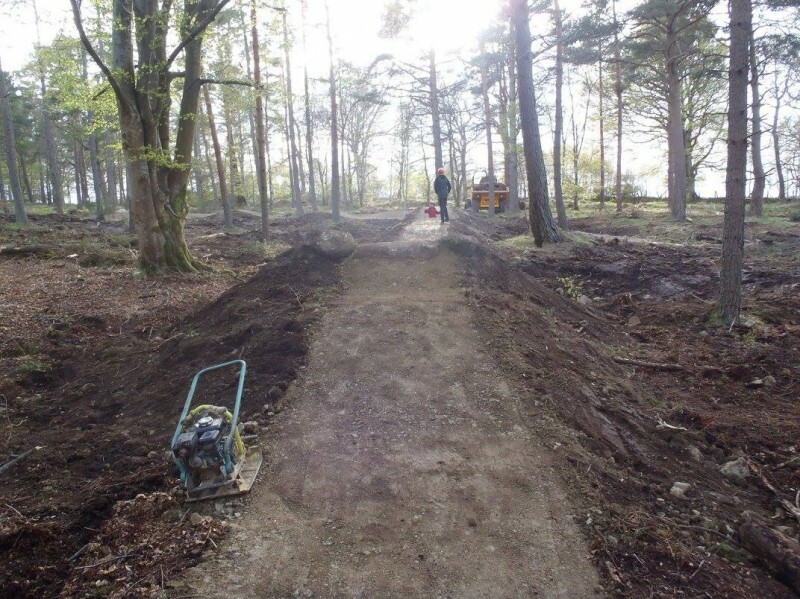 CRC Contracting constructed the trails alongside Paul Masson of Cycletherapy. The trails in total are short and altogether are around 3km long. The red is known as the 'The Spikey Hedgehog'. The blue trail, 'The Red Squirrel' and Orange 'The Slinky Fox'. 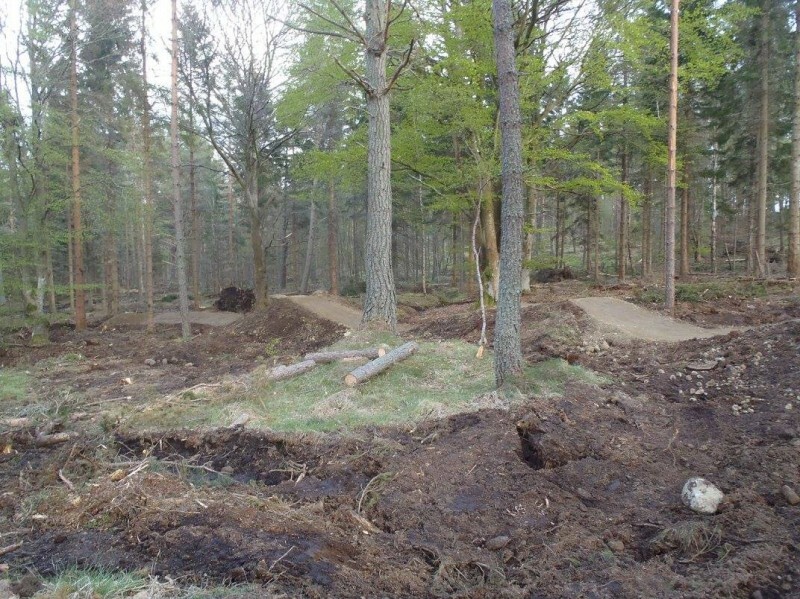 The pump track is the - 'The Puddock Pump Track'. Toilets are available (Free to use to general public) in The Commercial in The Square in Tarland as part of the Aberdeenshire Comfort Partnership. There are three picnic benches in the car park and seating at the pump track. There is a car park at the corner tip of Drummy Woods. If full please park in Tarland Village and please don't block residents entrance. 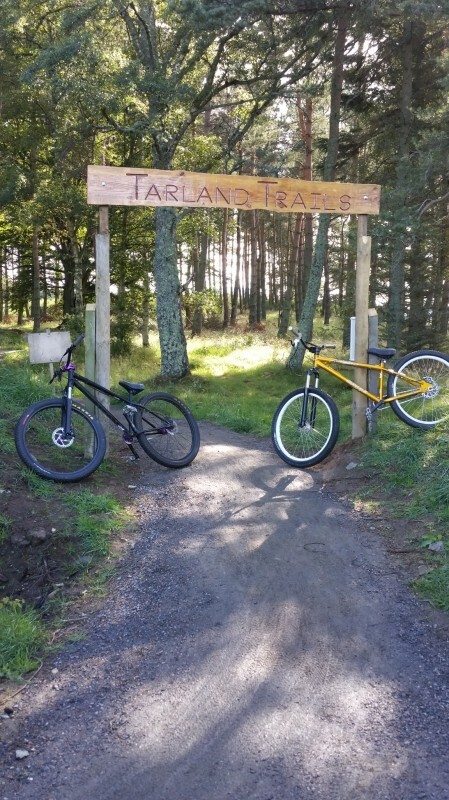 If you have ridden the mountain bike trails, bike park and pump track at Tarland Trails then please share your experiences with the community and post your reviews, pictures and videos to this listing. Go Pro footage of all the trails thanks to Tony Yule - https://www.facebook.com/ARMS.Photographic . 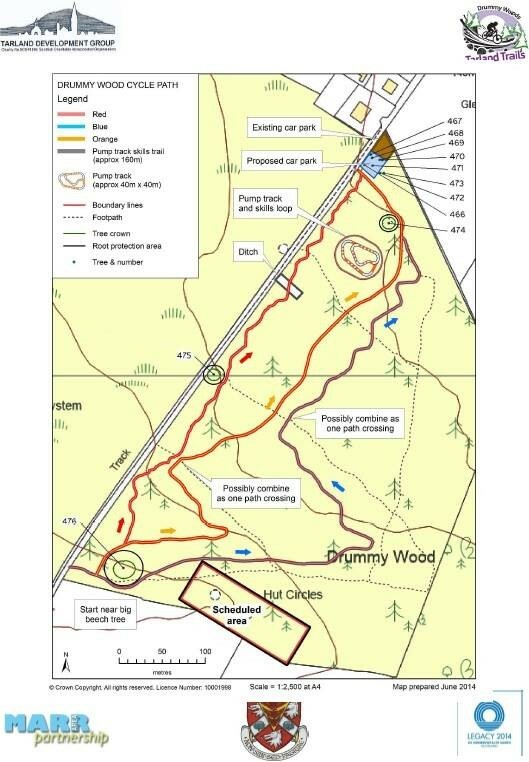 Trails open Saturday 27th June 2015. Thanks for the review. Agreed, fun for all the family! Great selection of trails to suit novices to the more experienced rider wanting to brush up on they're skills. Suitable for kids on balance bikes. Thanks for the review...We'll keep you posted with the progress with TT#2 on our facebook page. 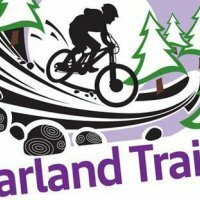 Give Tarland Trails a try. 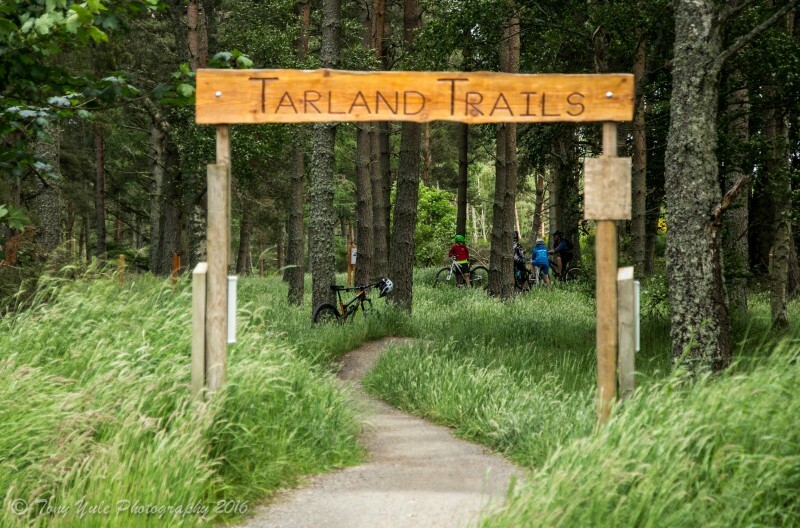 Tarland Trails are a fantastic set of trails suitable for the whole family. It comprises of a fun fast blue grade trail, suitable for youngsters, who can practice over and over to build their confidence. There's also an orange grade and red grade trail for the more experienced riders. The fantastic pump track will keep everyone entertained too. Nice picnic benches and seating area, so take a picnic and spend a while there. Keep your eyes peeled for the squirrels too. Give the trails a try - you will love them. Would be great if there was a toilet facility. Small but fun tail centre. Really well designed with a good variety. Neil, Thanks for your review. Short but sweet. Please see 'How to S*** in the Woods: An Environmentally Sound Approach to a Lost Art' for a comical read...otherwise visit The Commercial for publicity available toilets. 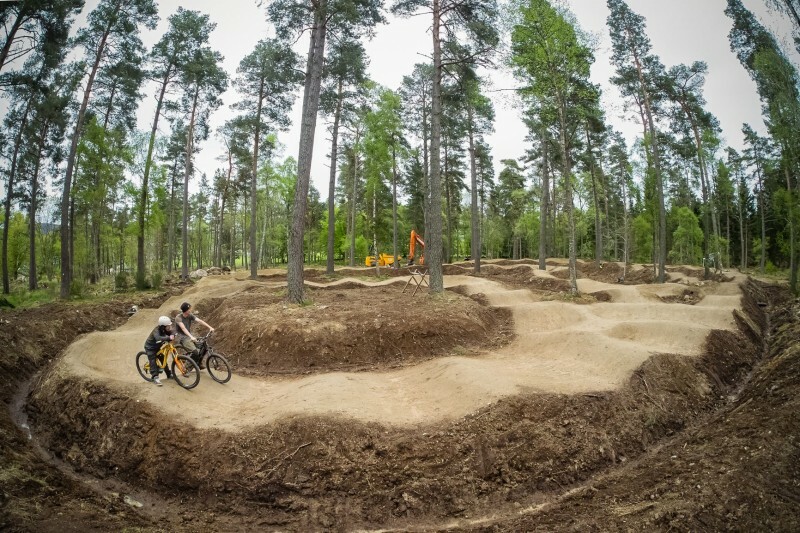 Ideal trails for beginner to intermediate riders. 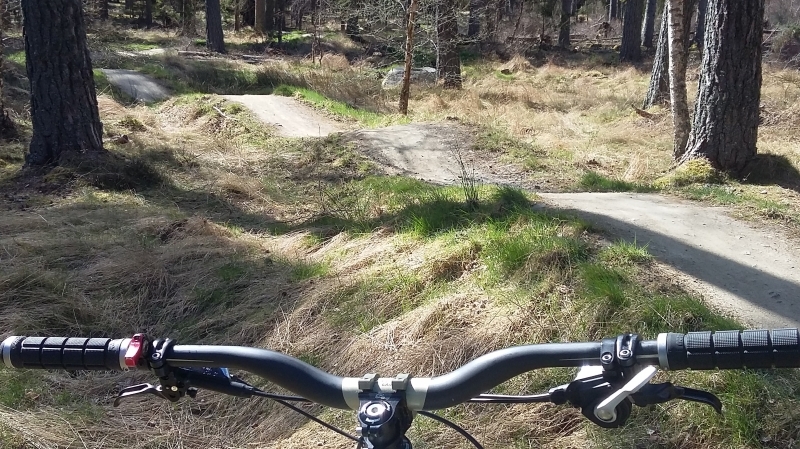 A short Uphill rewards you with some flowing trails that are easy to "session". Those after real technical trails may want to look elsewhere. 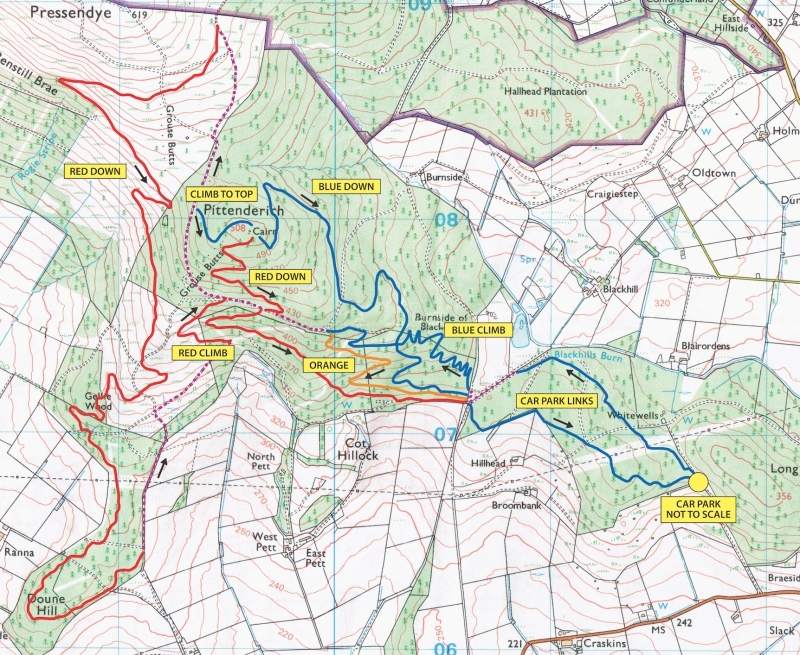 Harder and longer trails in the plan for TT#2, Thanks for the review. This was a good experience for myself ( an old timer who is a regular cyclist.) I tried all of the trails and had a great time with a big grin on my face. I came away very satisfied and quite tired, actually, VERY tired. 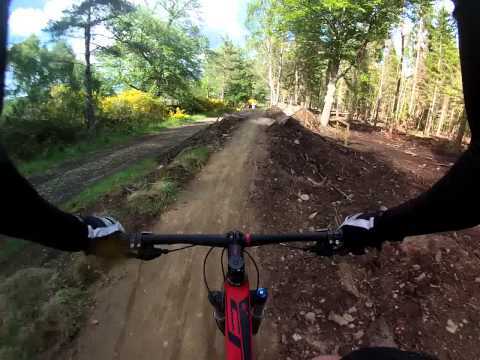 I look forward to getting back very soon to Tarland Trails for another adrenalin rush...Well done to everyone involved in making this a great facility. I cannot think of any bad points other than the facility would benifit with having toilets. Thanks for the review - We might work on a set of toilets for TT#1 if Tarland Trails#2 happens. Thanks for the review - We might work on a set of toilets for TT#1 if Tarland Trails#2 happens. Cafe....more news to come on that front hopefully. Been going since built and it has bedded really well and the kids bike skills have improved greatly. Just wish my nerves could keep up with the kids. Excellent for children and beginners. Pump track is a great facility and the kids really love it. You have to cross over one of the trails to reach the pump track. Mark - Thanks for the review. A good point no-one has raised before. Can't think how to resolve this but...we could install one of those big pipes for about £5000 and the red could go over! Fantastic and easy to get to trails. 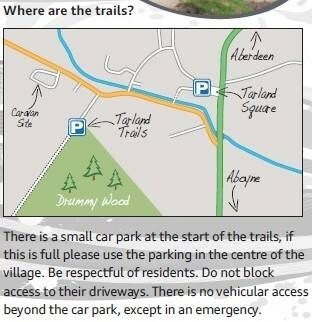 Handy having Tarland village shops and amenities right next to the trails. Trails are well marked for cycling and for walking. 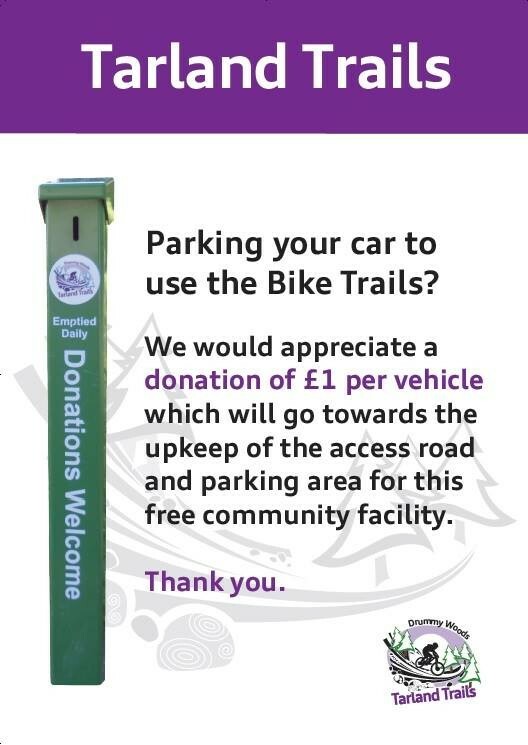 Free leaflets were great and good to have a donation post box. My 2.5 year old son enjoyed the pump track and rode part of the blue trail twice with ease. Great for all ages. Thanks for the review. Great for balance bikes and then there's the whole blue, orange and red to progress onto. Good Quality but needs more! 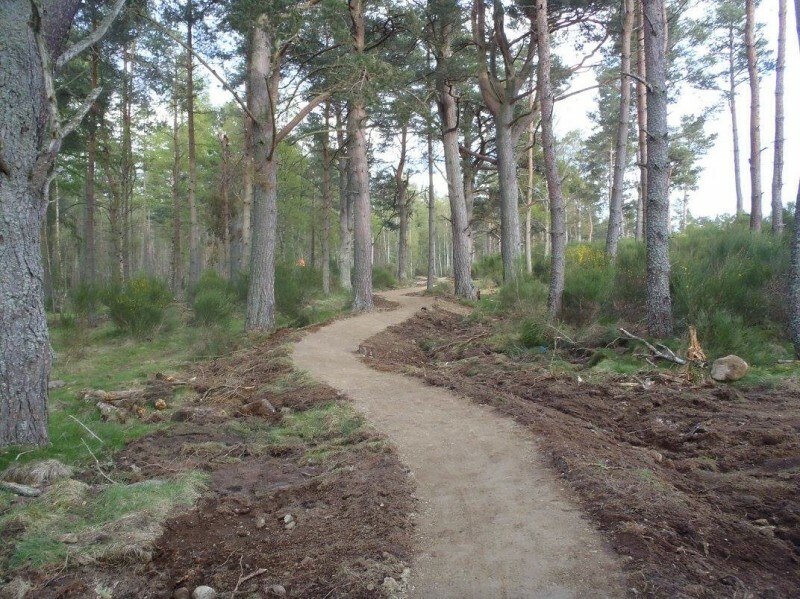 Tarland trails should cover a larger area with longer trails which allow for a whole day out on the bike. Currently I cannot see why many people would travel large distances to visit the park. If there were an expansion similar to the likes of Glenlivet in size (a number of longer trails) we could see an increase in tourism as Scotland and the rest of the UK are lacking hugely in trail centres alone. The expansion of Tarland trails would be great for the North East cycling community (& the rest of the UK). More people would travel to the area, boosting the use of facilities in and around Tarland. 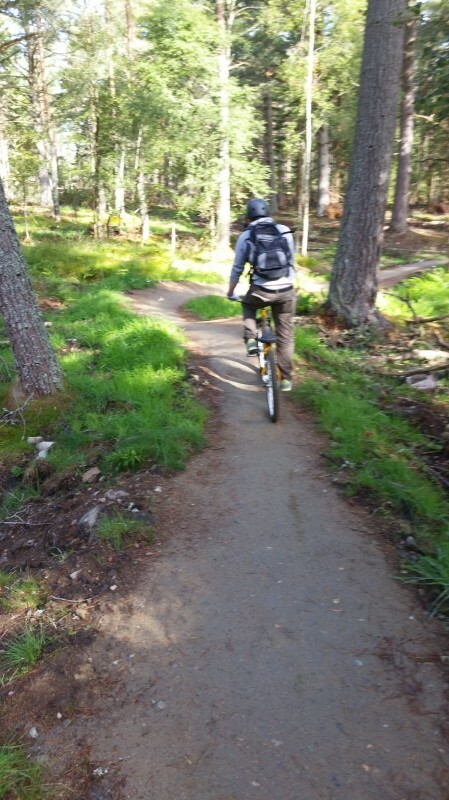 The trails at Tarland are well maintained and of a high quality. 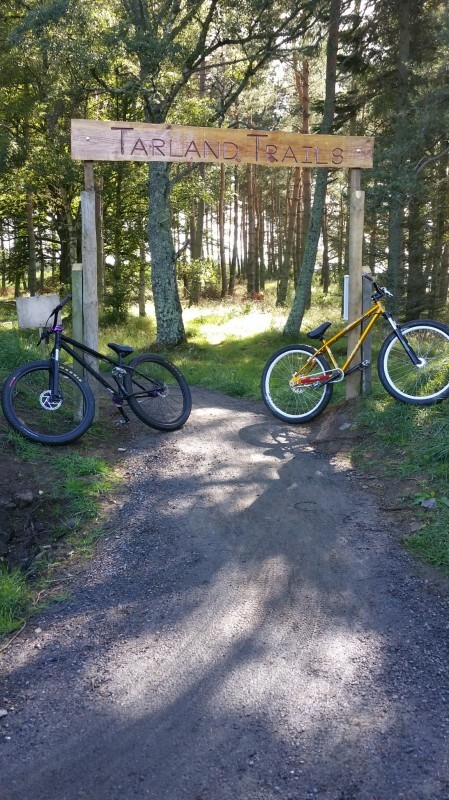 They are absolutely fantastic for beginner riders looking to learn the core skills of mountain biking along with the more intermediate rider who is competent with small, flowing jumps and looking to become more confident in the "park" riding aspect of mountain biking. The trails are well thought out and flow nicely through the forest. 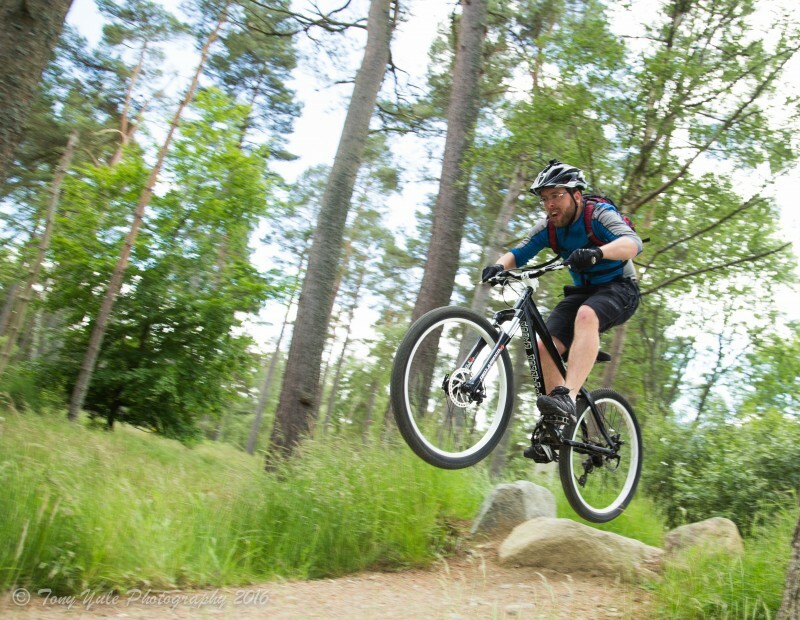 The jumps are relatively small which allows for progression to the less experienced biker. 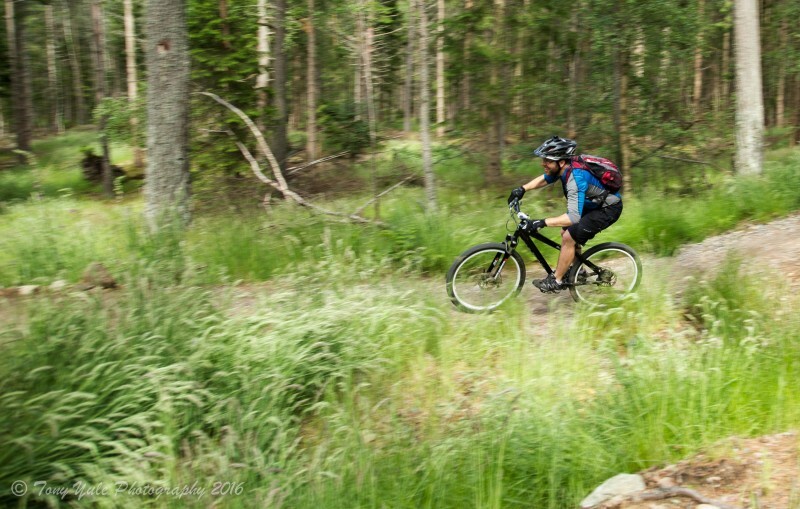 Overall the trails are too small and too easy for the more experienced rider. 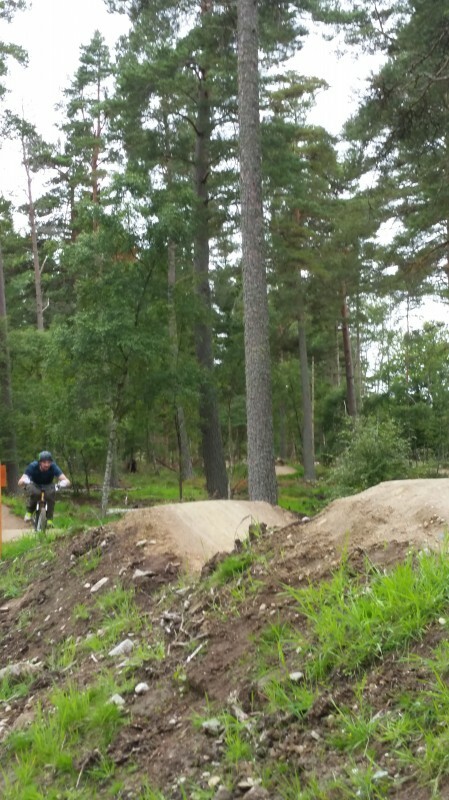 They lack in the technical aspect of mountain biking and mainly focus on the flow and jump trails which are not challenging enough for many riders. Cheers for the review Iain. 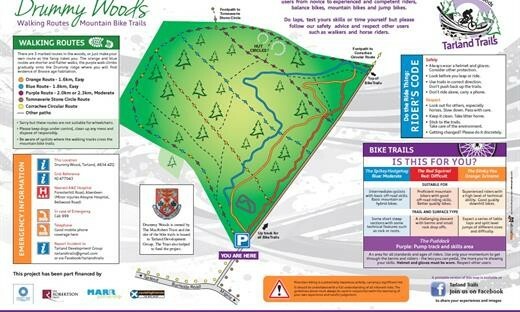 As you know we are working on plans for TT#2 and part of this may be the opportunity to improve things at Drummy Woods too. Watch this space.